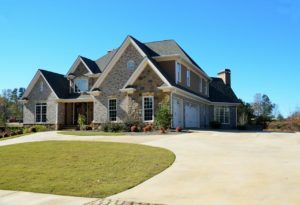 When it comes to finding the perfect home in the Eastern Panhandle, it’s all about lifestyle! 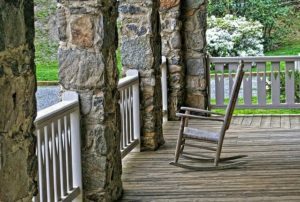 The amenities your home, and neighborhood, includes will ultimately shape your way of life in West Virginia. There’s just something about sitting out on the front porch, sipping lemonade and chatting with your neighbors! It’s one of the many perks to buying a home in the Brandon Hills neighborhood of Hedgesville. In addition to spacious front porches and rear decks, this neighborhood offers Brandon Hills homes for sale with gorgeous mountain views and huge wooded lots of up to 9 acres. If you have pets (or want to become a pet owner!) then you’ll probably want to invest in a home with plenty of room for Fido. Buying a home with a fenced-in yard is a great way to give yourself some peace of mind. Not only will your dog have room to play, you won’t have to supervise them the entire time. Archers Rock in Martinsburg has a variety of beautiful homes for sale with fenced-in yards! There are a number of compelling reasons to buy a home in a gated community. There’s less traffic, as drivers won’t be able to “cut through” the neighborhood to get to their destination, the streets are quieter at night, and there’s greater peace of mind knowing that your neighborhood is more secure. Brookfield is a wonderful gated subdivision in Falling Waters, West Virginia. When you buy a home for sale in Brookfield, you’ll also gain access to the Potomac River boat ramp, beautiful common areas with verdant greenery, pavilions, and over 30 acres of open preserves. Have a passion for boating? Then you’re going to love the amenities of Crossings on the Potomac. This neighborhood is located in scenic Hedgesville, with direct access to the Potomac River. Many of the homes for sale in Crossings on the Potomac come with generous lot sizes and spacious interior floorplans. But, the best part of life in Crossings is the dock access and private marina. Get out on the water every weekend when you live in Crossings on the Potomac! Sometimes, you want the creme de la crop when it comes to your neighborhood. If you’re searching for a home that comes with luxury, 5-star amenities, then it’s time to schedule a tour for Cress Creek in Shepherdstown. Buying a home for sale in Cress Creek means you have plenty of options to join the Club. 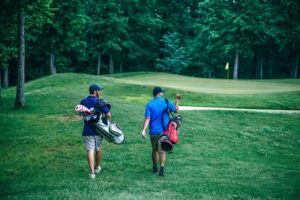 The Club comes with access to the 18-hole Cress Creek Golf Course, a spacious clubhouse with several dining amenities, a swimming pool and wading pool, indoor tennis courts, and more. Ready to Find Your Home on the Panhandle? We’re ready to help. Give us a call today to begin exploring all your real estate options in the West Virginia Eastern Panhandle. In the meantime, feel free to continue exploring the area by checking out our local area guides, reading our home-buying resources, and seeing what homes are selling for in the Eastern Panhandle.